Posted by wallofsound in David Murray, Jazz. This is an interesting record where David Murray is a key member of an ensemble, rather than a leader. It comes from fairly early in his career, and represents one of his earliest substantial outings playing bass clarinet. The band is pretty much a clarinet version of the saxophone quartets which were in vogue in the 1980s. 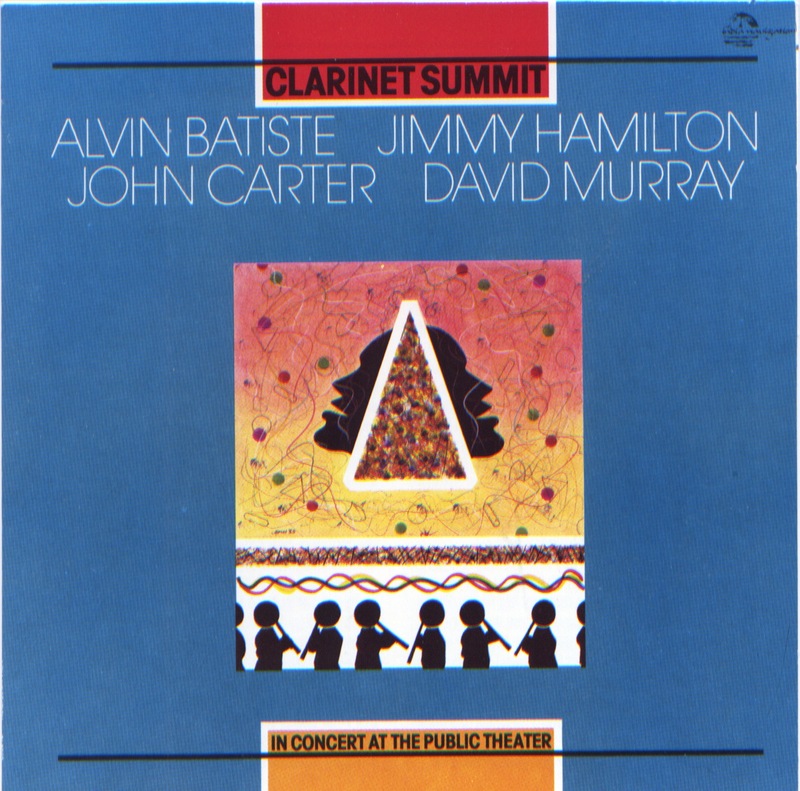 Led by John Carter, and featuring Ellington alumnus Jimmy Hamilton, in/out player Alvin Batiste, and Murray who had only taken up bass clarinet few years before. The programme is an interesting mixture of original compositions from the group members and Ellington originals. The CD features sleeve notes by Stanley Crouch (doing a bit of historical contextualisation) and John Carter (explaining how the date came about). Crouch emphasises the New Orleans origins of jazz clarinet, evoking Bechet and Barney Bigard as precursors, and rightly says that the music chosen owes much to the success of the performances. Honeysuckle Rose highlights Batiste and Hamilton, and Murray solos on his own Sweet Lovely. The lengthier tracks show John Carter’s writing and arranging off to great effect, and are excellent examples of why I rate him as one of the master’s of jazz. Given the long careers of the other three, the much younger Murray acquits himself superbly, and without any hesitation. The group practiced for three days before, but they sound completely at ease with each other. This inter-generational approach was to be a common feature of Murray’s later bands.